Hole diameter 115mm. HWD: 159 x 159 x 15mm. 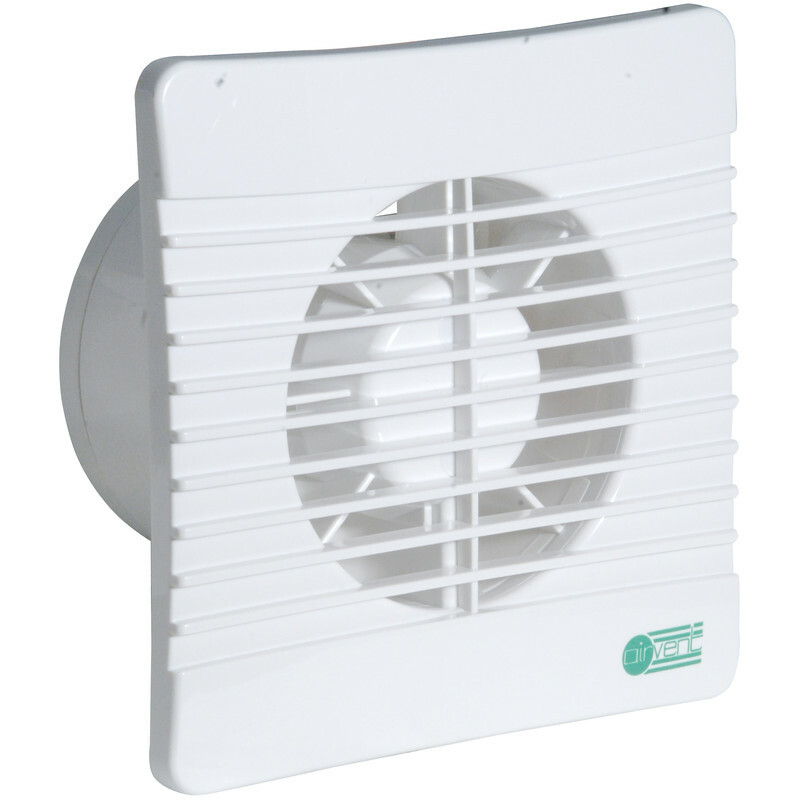 Airvent 100mm Low Profile Extractor Fan Timer is rated 4.0 out of 5 by 34. Rated 5 out of 5 by Kernickers from Good value This was a cost based decision and once installed soon proved to be a bargain. Compared with other similar costed fans this was one that had a back draught ven't, others didn't. Great extractor. Rated 5 out of 5 by gordonthegopher from Exhausting Purchased as a direct replacement to an existing model. Easy to disconnect four wires and five screws, pull out the non working item (completely blocked with air borne lint, stopping the fan motor which then oveheated) Then reconnect the wires on new fan, place in duct, screw the four location screws into the existing holes put cover on with holding screw and voila ......all done and working! Rated 1 out of 5 by Delbankco from Problem product As a professional electrician I have installed several of these . Out of those installed at lease 20% have failed within a year due to condensation getting onto the connector strip. In some cases carbonising and tripping 6 amp breaker. I no longer use this product. Rated 5 out of 5 by HeraclesUK from So far, so good I installed this fan a few days ago. It works and I trust that it will continue to do so for many years to come (I'm now starting to link my longevity as a customer of any suppliers to the quality, value & endurance of its products!). My only gripe is the unnecessarily small, fiddly terminal block for connecting the power supply; surely a penny or two could have been spared to a) make it larger and b) have one side dedicated to the supply, the other to the unit?